An opportunity missed was how French rugby coach Philippe Saint-Andre summed up his team's 6-0 loss to Australia in their second Test in Melbourne. On the back of 10 changes following their 50-23 humiliation in the opening Test in Brisbane, France delivered a much-improved performance in an arm-wrestle at Etihad Stadium. They kept the Wallabies tryless, in stark contrast to a seven-try romp the previous weekend, but a lack of precision in their own attack meant they were unable to cross the tryline themselves. "Of course it was an opportunity missed," Saint-Andre said. "At least tonight we matched [Australia] and we were not a sparring partner." 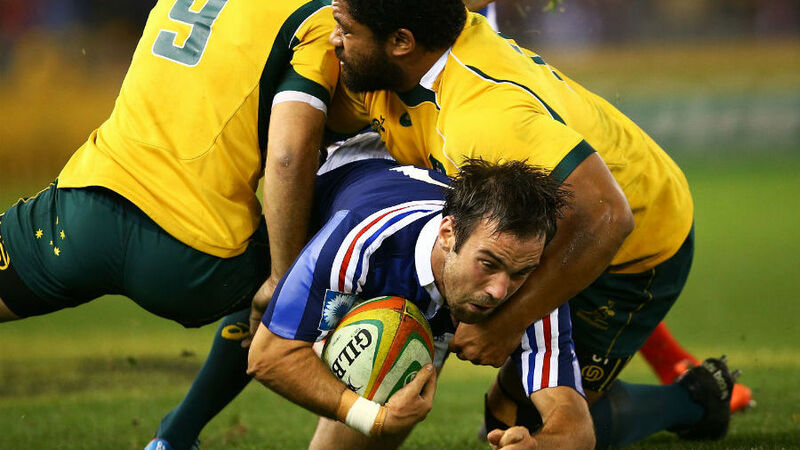 While the Wallabies were denied a first-half try by the Television Match Official Vinny Munro, Saint-Andre said his team should have been in front. Electric fullback Brice Dulin and half-back Morgan Parra both missed penalty attempts while flanker Yannick Nyanga botched a try-scoring chance by failing to pick up his chargedown on Matt Toomua. The teams were scoreless at half-time for the first time in a Test between the nations since 1958. "I think at half-time we should have had been at least seven or 10 points in front but we missed a try and two penalties so it was nil-all," Saint-Andre said. He felt while the home side started the second half well France's discipline fell away with the Wallabies kicking the match-winning two penalty goals. Although the series was lost Saint-Andre said his team still had plenty to play for in the final Test on Saturday afternoon at Sydney's Allianz Stadium. They haven't won in Australia since 1990. "We were very close tonight and it didn't happen and we need to improve and be more clinical. "I think we give a big contest and it was a close game."